Let's Break Down Today's Smash News! With the inclusion of 2 new playable characters and a returning veteran, you'll want to watch Nintendo's official announcement video before we get started. The video was streaming live earlier this morning on YouTube and the official Smash Website. Umm, that's Rayman! Friggin Rayman! A third party character that was predicted way back here. Smash Bros. 4 Character Prediction Art 2! For Sakurai to bring out the fella on the day a new character was set to reveal after the wait over the weekend after announcing the livestream sent everyone into a bit of a tizzy. In order to make Rayman's trophy, we asked Ubisoft to share their references. We were expecting to receive 2D drawing references for Rayman, but to our surprise, they sent us data of a brand new 3D model that they rendered for this game!! And that was how this trophy was created. It takes a lot of work creating each model, so it's wonderful that the creators contributed their own efforts!! With such an update, many could see through this bait and switch. By now, I think it's safe to say Smash fanatics have gotten used to his antics but it's still fun to revel in the method of his madness as he acknowledges the over-analytic minds that are always dying to learn more about the new title, like us! As the reveal video came to a close, we were not exposed to just 1 newcomer as originally hinted, but two - none who were Rayman as expected - and it didn't stop there as the introduction of a veteran fighter figuratively blew our minds with a Falcon Punch! 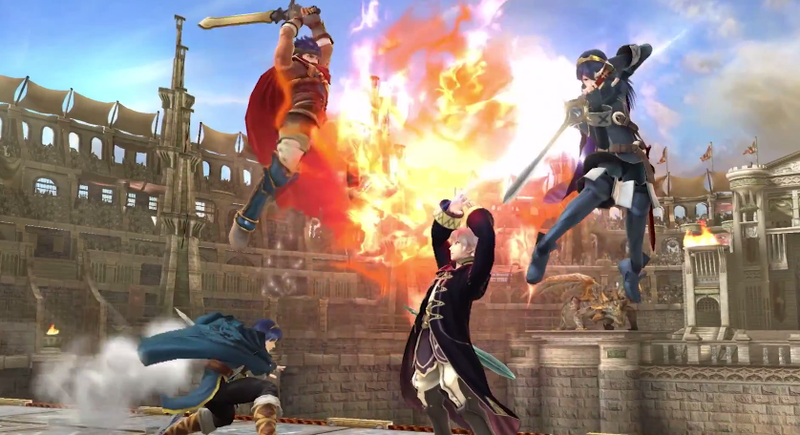 Speculation and discussion for Ridley, Shulk, or Chrom's inclusion reached a high over the weekend but everything flew out the window with the reveal of Lucina and Robin, two characters introduced in the 3DS hit game Fire Emblem: Awakening. Chrom, thought to be the sole rep for FE in Smash 4 makes an appearance as part of a Final Smash, which is big news for those who had been following a Gematsu leak that many believed had legs due to the poster correctly guessing the unbelievable inclusion of the Wii Fit Trainer. The Gematsu leaks dropped in two parts over two years, with the first post detailing Mega Man, the Villager, WFT, Little mac, Pac- Man, and the Mii, all characters who have been revealed and confirmed for the roster. With such a varied list with characters from left field being 100 percent spot on, many believed the tipster's tease. With Chrom no longer playable, does this second tip lose it's credentials? Who knows! Palutena of that list is playable, and the Pokemon that's mentioned to be from X and Y could clearly be Greninja. I for one am happy because my perfect roster of Smash Bros. would stay clear of the Chorus Men. Y'all can be an Assist Trophy, though! So then, what of that Rayman reveal? The official Smash page site has updated their screenshots of the day in similar fashion in the past before when updates were later announced in the day and a new photo would overtake the original first released like clockwork for 5 days a week. Third party characters have been the talk of this recent Smash, with Mega Man's megaton introduction leading the way towards Sonic's re-inclusion. Snake, having paved the way for third party entities in the last installment (due to a friendly relationship with Kojima and Sakurai, and apparently some begging in between) is nowhere to be found for better or for worse. The godfathers of gaming now share the stage in Smash 4, with Pac-Man having made the roster most likely thanks in part to Bandai Namco's involvement in developing the title. Sakurai has stated before he and his team would not work on trophies that require them to go out of their way especially when they're not playable. This statement may seem contradictory when you have third party entities like Wonder Red from the Wonderful 101, as seen in trophy form below, and Rayman as seen earlier in this post. However, it is most likely that just as Sakurai stated in his write up for Rayman, both these character models are probably ripped straight from their games by their original creators and devs to be featured in trophy form for the sake of paying homage and tribute in an all encompassing franchise like Smash Bros. Wonderful 101, developed by Platinum and published by Nintendo, at least has Nintendo's official involvement in some way. Rayman for a short time had a solid chance make the roster when the Wii U had exclusive rights to the platformer Rayman Legends. However, that notion has since fell through when the title went multiplatform most likely due to lackluster console sales and waning confidence by Ubisoft. Regardless, it's interesting to see Rayman appear in the game in some shape as it was previously thought there was no room for him whatsoever. The Marth look-alike leads off the reveal video, clashing against none other than F-Zero racer and bounty hunter Captain Falcon! Rounding out the newcomers announced is Robin! As the trailer ended, it was revealed that like the Wii Fit Trainer and Animal Crossing Villager, Robin could switch genders upon their player's preference! Robin: Wielding both magic and his sword, Robin will utilize regular attacks with close range attacks and specials that travel mid to far distances with magic. Thunder, fire (arcfire), wind(elwind), and dark (Nosferatu)magic attacks were shown utilizing the tomes he keeps to summon them. Robin actually tells Lucina he could only use them a number of times, and tosses a book which actually makes an "item drop" sound effect. Or perhaps it can be transformed at will? In the screenshot taken above, Robin's dual wielding a tome and the transformed sword so that might be the case. It's likely this blade will have stronger knockback, but presumably at a cost...Trade speed for more strength? 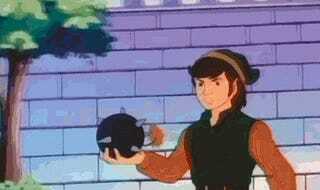 Lucina: Looks a lot like Marth...I mean visually and in gameplay. Her Side B special looks near identical to Marth's Dancing Blade, although it ends the attack with a launcher that seems more powerful then Marth's. Her Up B recovery move is also the same as Marth's Dolphin Splash...Her neutral air is the same as Marth's as well...Sakurai, I thought we were done with clones! Captain Falcon: In the cinematic, Falcon seems to get the upper hand on Lucina, but in the trailer is punished by Robin. Unfortunately, we don't see much of Falcon in the trailer as the spotlight is clearly on the FE newcomers. 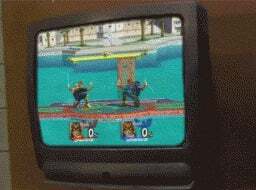 We are shown that Falcon carries over his forward ground tilt and Raptor Dive side B special from Melee and Brawl. On his character page on the website however, we see his Falcon Kick, Falcon Punch, thunder knee, and Final Smash are all intact. And that about wraps it up! Hope you enjoyed reading this break down, and are continuing to build up the hype for this year's hotly anticipated Smash titles! Until next time, I'm out!